This morning we travel south through Tennessee, Georgia and Alabama on our way to Gulfport and Biloxi, Mississippi for a two night stay in one of the city’s Casino Resorts. Biloxi is located on a peninsula between the Biloxi Bay and the Mississippi Sound on the beautiful Gulf of Mexico. Biloxi is an Indian word that means “First People”. The French established the frst European settlement in the lower Mississippi Valley in 1699 across the bay at Old Biloxi. Old Biloxi is now known as Ocean Springs and the New Biloxi was founded in 1719. Since 1990, foating casinos have made Biloxi the center of a booming gambling district with thousands of new hotel rooms. Biloxi is no longer known as a beach resort although it has 26 miles of white sand beaches. Buffet dinner included this evening at the Resort. We will tour Mississippi’s Gulf Coast, visiting St. Michael’s Catholic Church— referred to as “the fisherman’s church” and designed to honor Biloxi’s fishing community. The seashell, scalloped-shaped and domed church has a twenty-fve ton unpolished altar that was cut from the hill of Calvary. This beautiful sanctuary has 4,000 square feet of stained glass windows with the motif of fsh, water and nets linking the figures of the twelve Apostles, who became “fshers of men”. We will have a brief photo stop at the Biloxi Lighthouse—one of the most photographed sites on the Gulf Coast. We will also visit the Katrina Memorial located in Biloxi’s Town Green and others sites. There will be time to relax before returning to Ocean Springs for a delicious dinner (included) this evening at Aunt Jenny’s. We have a short drive to New Orleans, Louisiana, “Jazz Capital of the World”, for a two night stay in the heart of the city just a short walk from the French Quarter. Upon arrival we will enjoy a delicious luncheon at the Court of Two Sisters Restaurant. 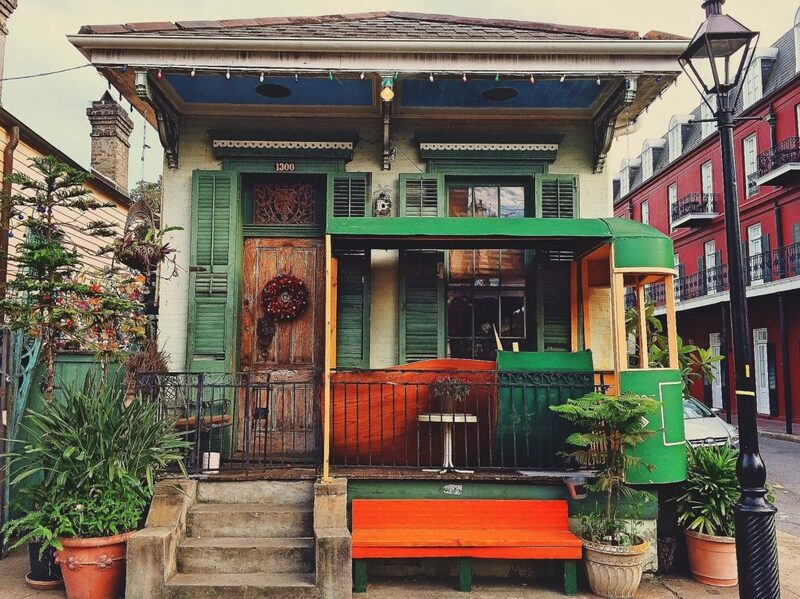 After lunch, a local guide will take us on a tour of this historic city including the famous French Quarter and Bourbon Street, old Market Places, Wharves, Squares, Duelling Places, Patios, French and Spanish Homes, Jackson Square, City Park with dueling oaks, St. Charles Avenue with its famous streetcars, the Superdome and St. Louis Cemetery # 3 on historic Esplanade Avenue, one of New Orleans’ oldest and most intriguing cemeteries. Tomorrow, discover New Orleans your way with a day at leisure. 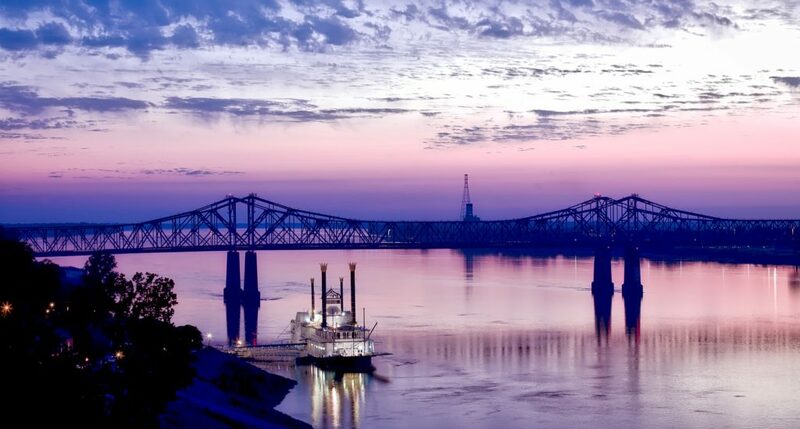 Explore the beautiful antique shops and boutiques in the French Quarter, take a ride on the streetcar down St. Charles, take a cruise on the mighty Mississippi River—the choice is yours. This evening we will enjoy traditional Creole and Cajun recipes taught by noted chefs at the New Orleans Cooking School. Celebrate the exotic culture that has inspired musicians, writers and artists. And, of course, learn the secrets and history of New Orleans’ famous food and culture. Now it’s time to dine in the comfort of their dining room or garden on all those specialities they have cooked up for you. I bet you will agree with Lucy—”It’s so tasty too”. Today, we begin our journey home with lasting memories of our journey along Mississippi’s Gulf Coast and our visit to New Orleans—home of Jazz and good ole’ cajun cuisine.